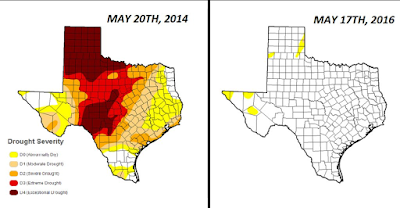 MSE Creative Consulting Blog: Remember When Texas Was To Be in a Perpetual Drought Caused by Global Warming? Remember When Texas Was To Be in a Perpetual Drought Caused by Global Warming? Yup, that's what Climate Central and the usual suspects forecasted. In fact, one forecast the drought to last 90 years!! I would describe the catastrophic global warming clique this way: Often wrong; never in doubt.